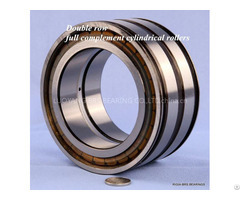 structure: single roll cross tapered roller bearing, no gear teeth. 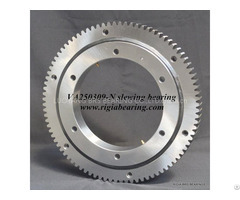 XR series slewing ring bearingsThe XR series consists of cross roller bearings, which provide a high degree of stiffness and low rotational torque within a minimal envelope. Consider this design when a four-point contact ball bearing does not meet the operating performance requirements for torque and stiffness. XR series roller bearings have been used successfully in applications requiring extra stiffness with a low torque requirement, including radar, military turrets, machine tools, and excavators. 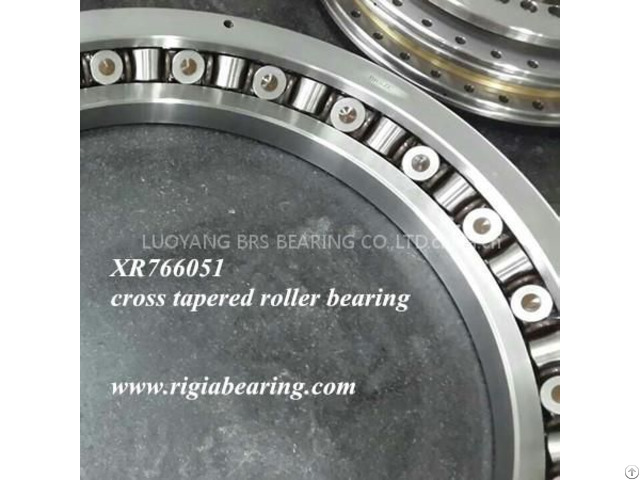 To learn more about our company or get the Installation Instructions of XR766051 Cross tapered roller bearing regarding the installation size, weight, basic dynamic load rating, load, limiting speed, and clearance, please contact us. 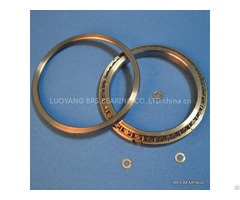 Drawing and sample of XR766051 Cross tapered roller bearing are available upon request.